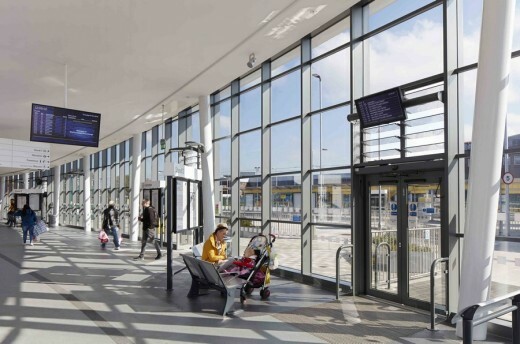 AHR has completed a £6 million transport interchange in Wythenshawe, Greater Manchester commissioned by Transport for Greater Manchester (TfGM) as part of a wider regeneration of the area. The interchange comprises of an island concourse with wrap around access. Six saw-tooth stands and five lay-over bays within a horseshoe configuration provide accommodation for up to 15m standard fixed axle buses and 18m bendy-buses, with a total capacity for 84 bus movements per hour. 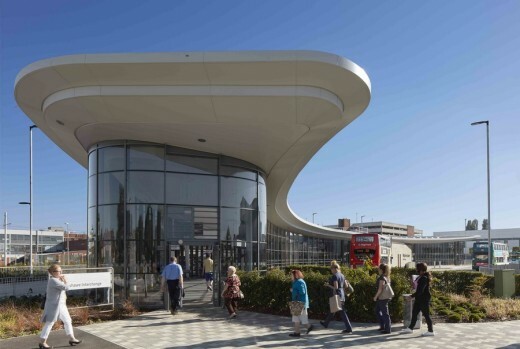 A key feature of the design is the sweeping curved roof structure that runs north to south. 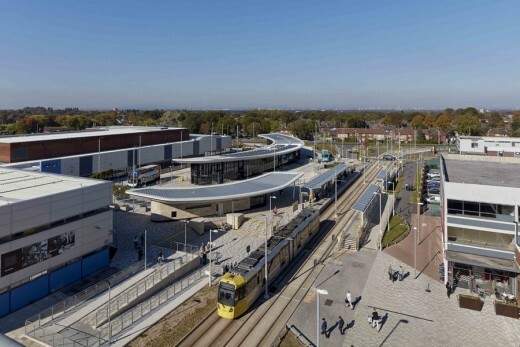 The roof peaks at the north and south-east points to define the passenger entrances and draw people into the building and dips to a low point in the centre of the building to highlight the concourse facilities. 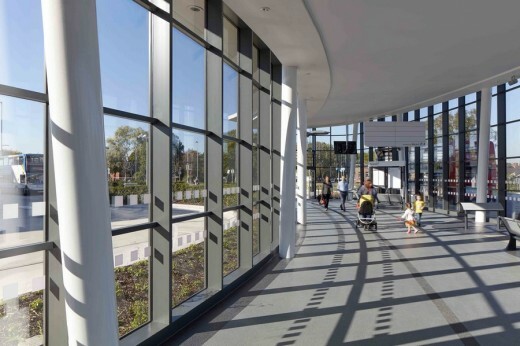 The sweeping form ensures the interchange is easy to navigate and by minimising roof overhangs AHR were able to maximize the natural light which aids clear and safe pedestrian and vehicular circulation around the site. 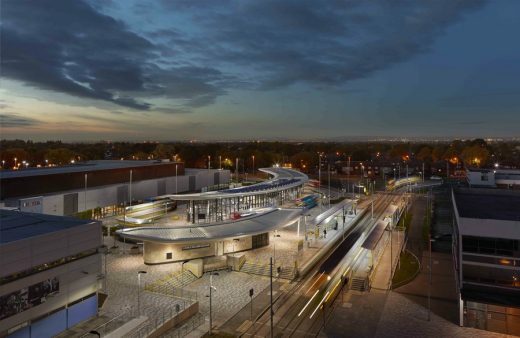 Working in partnership with TfGM for over 15 years, AHR has also successfully delivered Altrincham and Rochdale interchanges and is currently working on Stockport and Bolton Interchanges.